An inactivated bivalent erysipelas vaccine containing two Erysipelothrix rhusiopathiae isolates for the prevention of signs of erysipelas arthritis in lambs and for the protection against erysipelas infection in pigs. 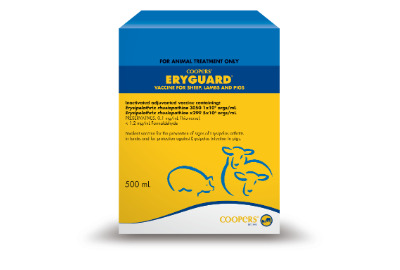 Prevents the signs of Erysipelas Arthritis in Sheep, Lambs and erysipelas infection Pigs. For the control of sheep body lice (Bovicola ovis) on sheep off-shears, including lice resistant to synthetic pyrethroids. 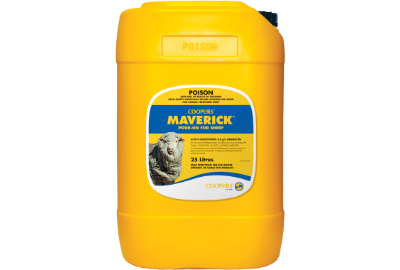 For the treatment and control of abamectin sensitive strains of gastrointestinal nematodes of sheep (including levamisole resistant strains).